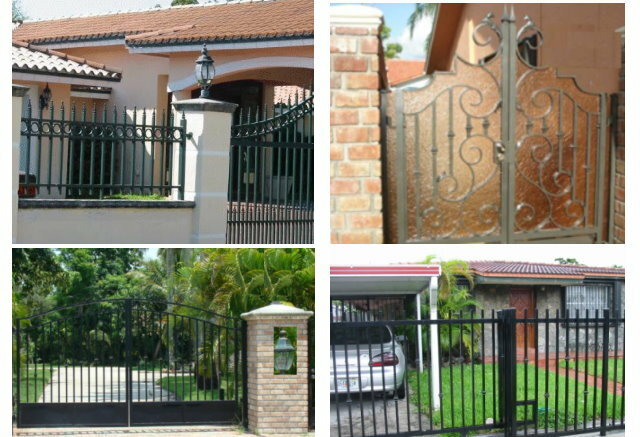 Miami Iron Work designs, manufactures and installs aluminum, galvanized iron, wood, chain link and concrete fences, gates, railings, columns and spiral stairs. We use top quality engineering, materials and welding. We are a professional, licensed and insured contractor who has served countless satisfied residential and commercial South Florida customers. Thank you for visiting our site! Please take a moment to browse our popular designs and styles.